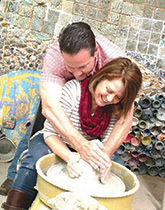 Lifestyle Profiles: Whether building a home, traveling the unknown, or searching for a signature style, these featured profiles will inspire the way you live. 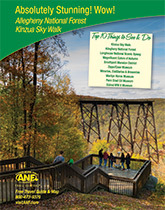 Take a road trip adventure to the Allegheny Nation Forest of northwestern Pennsylvania to experience one of the top scenic skywalks in the world.Click here to view the full article. 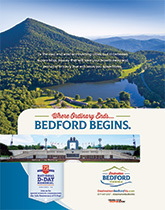 To the east and west are bustling cities, but in between is the pure bliss of Bedford, Virginia—a place where beauty will take your breath away. Click here to view the full article. 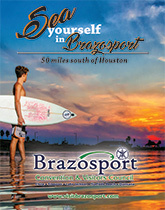 Relax in the cool waters of the Texas Gulf Coast just 50 miles south of Houston in the scenic and historic town of Brazosport, Texas.Click here to view the full article. 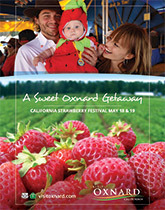 Get ready for the sweetest getaway this spring at the 36th annual California Strawberry Festival. Click here to view the full article. 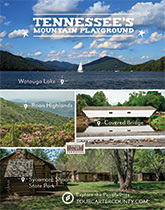 Let the mountains of Tennessee become a playground for the family in Carter County.Click here to view the full article. 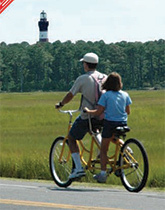 Museums, kayaking, wild ponies, boat cruises, festivals, and more await at Virginia's only resort island, Chincoteague Island. Click here to view the full article. 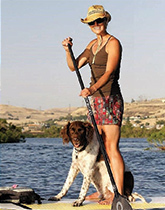 With more than 300 days of sunshine every year, there's a reason why outdoor enthusiasts bask in the simply sunsational Dallas, Oregon. Click here to view the full article. 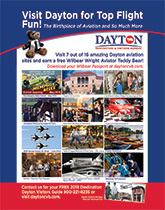 Walk the nation's largest network of paved trails, explore the Boonshoft Museum of Discovery, and even tour a NASA Space Shuttle in Dayton, Ohio—the birthplace of aviation.Click here to view the full article. 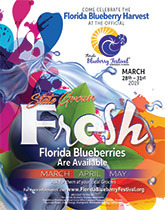 Come celebrate the Florida blueberry harvest at the official Florida Blueberry Festival from March 28th-31st in Kissimmee, Florida.Click here to view the full article. Adventure. Serenity. Wild. Down-to-earth. Folkston, Georgia's Okefenokee National Wildlife Refuge is all of this and so much more. Click here to view the full article. 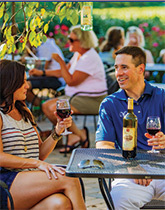 Whether you're looking for an escape from the ordinary everyday with the family at a waterpark hotel, or an eclectic night out with friends at a wine bar or brewery, in Michigan's Little Bavaria, there's something fun for everyone all year long.Click here to view the full article. 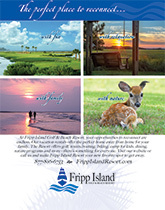 Reconnect at Fripp Island Golf & Beach Resort, where vacation rentals offer the perfect home away from home for families to come together for golfing, tennis, boating, biking, dining, and more.Click here to view the full article. Bring the family for a day of fun at the University of Florida Cultural Plaza, journey through the Florida Museum of Natural History, and walk through the Butterfly Rainforest—all in Gainesville, Florida.Click here to view the full article. 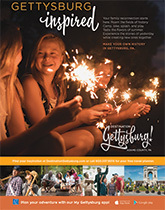 Experience the stories of yesterday while creating new ones together with family as you camp, bike, splash, and play through Gettysburg, Pennsylvania.Click here to view the full article. Fashion shows, endless shopping, 80's dance parties, and so much more—all with your closest girlfriends. Need we say more? 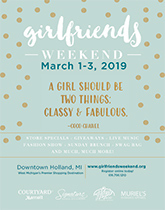 Spend three full days with your girl squad at Holland, Michigan's Girlfriends Weekend.Click here to view the full article. 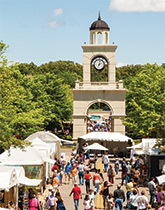 Visit Hendersonville, North Carolina from April 25th through the 28th for a celebration of wine, hard cider, and fine dining.Click here to view the full article. 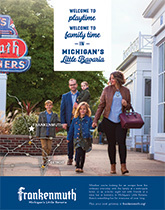 Experience the holidays at the lakeshore's premiere shopping and dining destinations in Downtown Holland.Click here to view the full article. 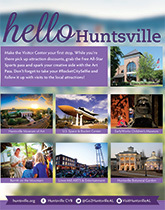 Be sure to stop by the Huntsville Visitor Center first during your trip down south to pick up attraction discounts, free all-star sports passes, and an art pass. Click here to view the full article. 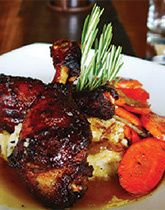 Picture this: A night on the town indulging in regional cuisine and signature cocktails while listening to live music; strolling down a quaint main street before snuggling into a cozy bed overlooking the lake and mountains. 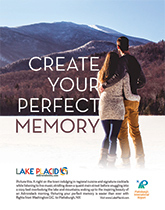 Welcome to Lake Placid.Click here to view the full article. Authentic. Delicious. Indulgent. 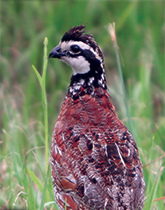 Happiness is found in the simple pleasures of life in Lawrence County, Pennsylvania.Click here to view the full article. 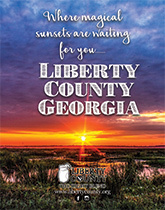 Magical sunsets are waiting for you in Liberty Country, Georgia.Click here to view the full article. 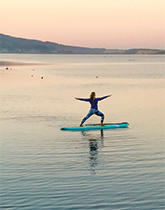 Morro Bay Vacation Rule #33: Engage a new mid-week mindset. 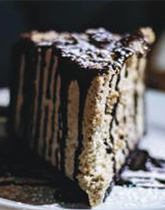 It's core to healthy living.Click here to view the full article. 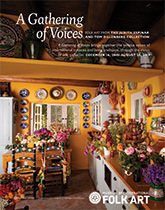 Visit the Museum of International Folk Art between December 16, 2018-August 25, 2019 to experience the A Gathering of Voices exhibit, which brings together the various voices of international cultures and living traditions, through the vision of one collector.Click here to view the full article. 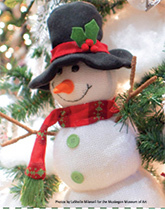 Get ready for a fantastic holiday adventure with the Festival of Trees at the Muskegon Museum of Art from November 21st through December 2nd.Click here to view the full article. 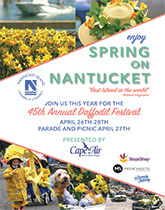 Just 30 miles off the southern coast of Cape Cod lies the cobblestone streets and sandy beaches of Nantucket. Click here to view the full article. 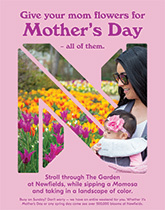 Mother's Day—or any other spring day—is the perfect day to stroll through The Garden at Newfields while sipping a momosa and taking in a landscape of color.Click here to view the full article. 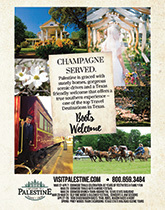 Palestine is graced with stately homes, gorgeous scenic drives, and a Texas friendly welcome that offers a true southern experience. Boots welcome.Click here to view the full article. Intrigue. Betrayal. Conspiracy theories. 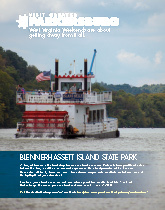 Blennerhassett Island Historical State Park and its mansion centerpiece still carry echoes of the tragic history of their namesakes, aristocrats Harman and Margaret.Click here to view the full article. Located half way between Chicago and St. Louis, Peoria is the largest city on the Illinois River and oldest European settlement in the state.Click here to view the full article. 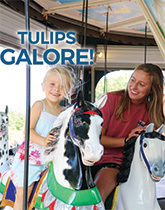 Whether you're here to shop, to ride, to taste or to marvel…there's just something about Ridgeland, Inside + Out.Click here to view the full article. 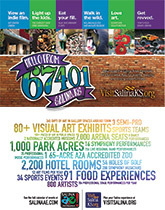 Download the Salina Area Chamber of Commerce App to find exciting events for the family, the perfect places to stay, and a wide range of dining opportunities during your next visit to Salina, Kansas. Click here to view the full article. 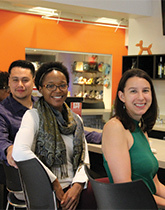 Explore 5,000 years of art history, plus special exhibitions, family programs, social events, and so much more at The Dayton Art Institute.Click here to view the full article. 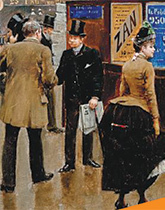 See art in a new light at The Haggin Museum's beautifully remodeled art galleries featuring fascinating works of art, from 19th and 20th century academic artists to "Golden Age" illustrator J.C. Leyendecker.Click here to view the full article. 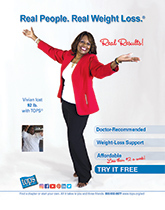 In a world of quick weight loss fixes, TOPS® offers an affordable, doctor recommended alternative that's realistic and effective no matter how much you have to lose.Click here to view the full article. 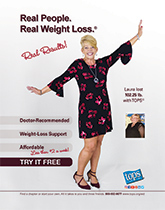 Nonprofit and noncommercial, TOPS® has been helping millions take off pounds for 70 years.Click here to view the full article. 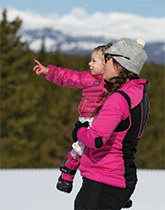 Year-round activities and lodging located at the west entrance to Yellowstone National Park.Click here to view the full article. 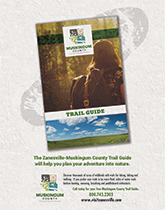 Discover thousands of acres of wildlands with trails for hiking, biking, and walking in Zanesville-Muskingum Country, or, if you prefer your trails to be more fluid, find miles of water trails beckon boating, canoeing, kayaking, and paddleboard enthusiasts. Click here to view the full article.